Awesome maroon and rust color shade net saree with amazing work patch border upper pallu part and gota patti patch border lower part are looking awesome. Attractive sequins, jari, resham work floral, paisley motifs and sprinkled butties all over. 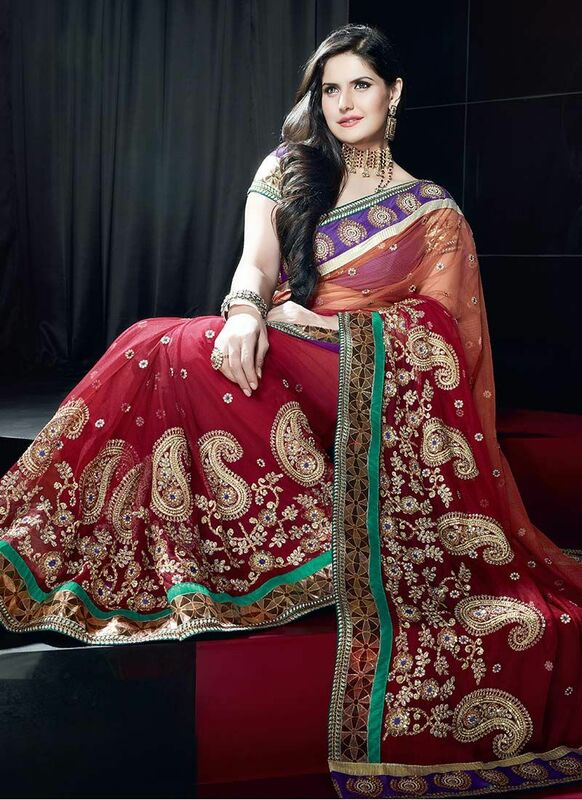 Women in glamour classic saree.